OCCC’s World Languages and Cultures Center is a great area for all students to learn about other cultures and just hang out, said World Languages and Cultures Center Coordinator Chiaki Troutman. “In general, all students who are interested in learning a new language or just exploring different cultures can use this lab,” she said. Rosetta Stone is available on every computer in the center center for all OCCC students, Troutman said. She said students can have their own course on the computers to help them learn the languages more efficiently. Rosetta Stone offers 11 languages: Arabic, Chinese, English as a second language, French, German, Hebrew, Italian, Japanese, Portuguese, Russian and Spanish, Troutman said. The WLCC offers many resources for learning about cultures and languages with satellite television, international films, Spanish tutoring, and reference books. Other events include the international poetry/Modern Languages Festival and grammar workshops. The WLCC is open from 9 a.m. to 5:30 p.m. Monday, Tuesday and Wednesday, from 9 a.m. to 7 p.m. Thursday and from 9 a.m. to 1 p.m. Friday. 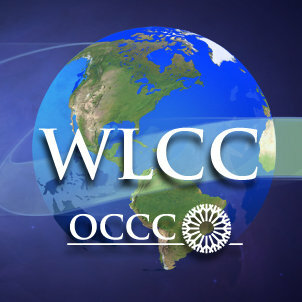 For more information, visit www.occc.edu/world or call 405-682-7560.